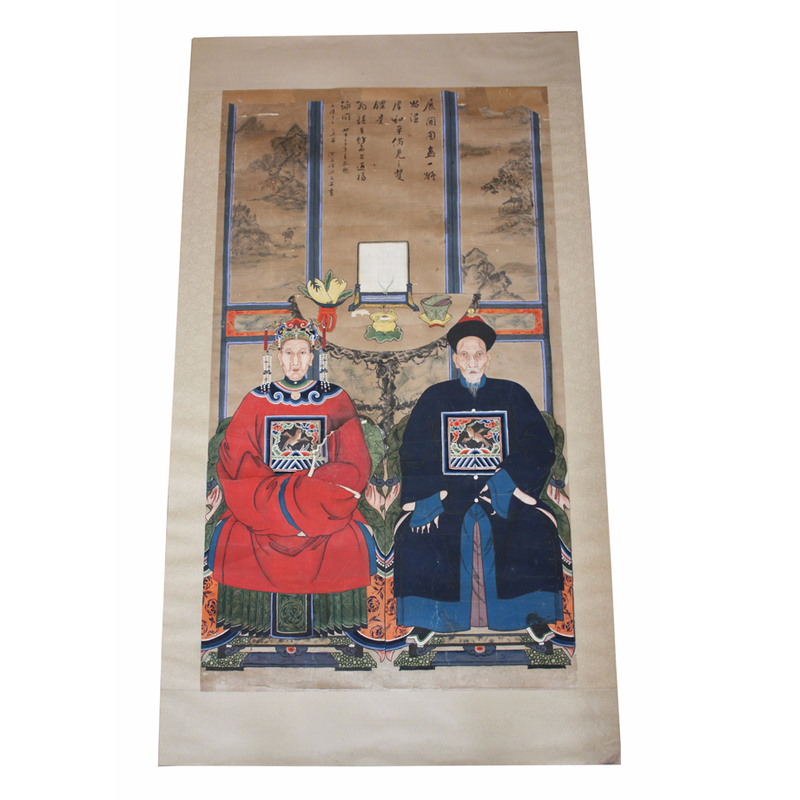 2-person ancestral painting from late 19th century. 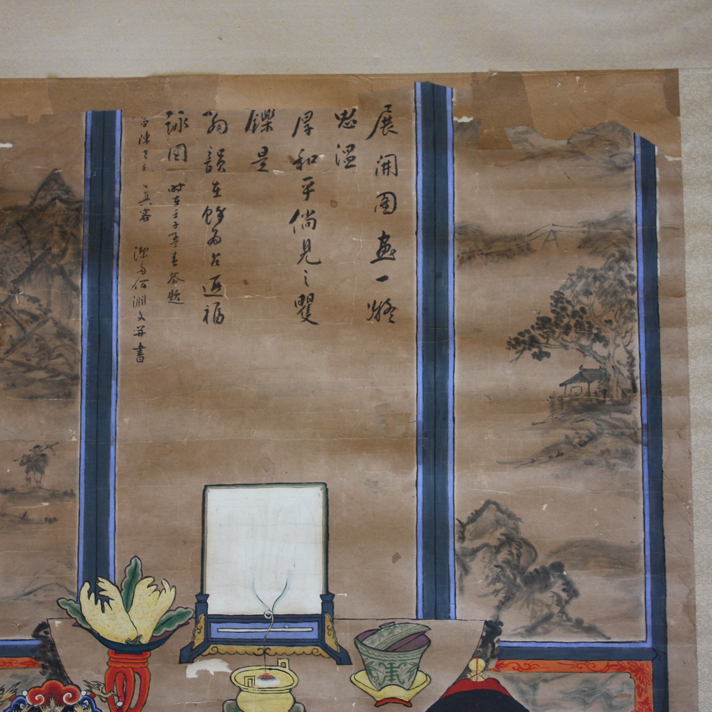 Antique ancestral paintings are among items on China Cultural Relic's priority list forbidden to ship out of China and therefore the antique pieces are becoming more rare. The organic colors used on these old paintings often derived from plants or mineral source, and may be similar to those used in fine Chinese porcelain paintings, Chinese furniture, and other fine Chinese arts.